Seminar Series - with presentations from leading industrialists and experts. Overseas Study Tour - either in mainland Europe or further afield. Research based Dissertation Project - working with academics from the Institute for Manufacturing on state of the art topics. *Please click on the links above for more information. The course is underpinned by a broad set of modules which aim to provide detailed theoretical knowledge relating to all aspects of modern manufacturing. 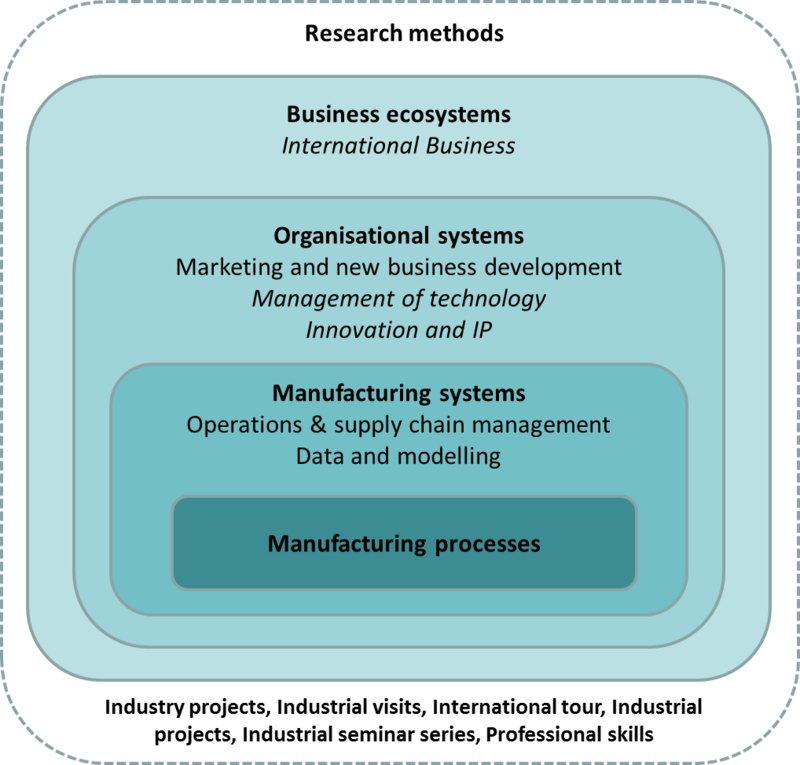 Modules seek to develop insight into the complexity of industrial systems, building on an overview of core ‘manufacturing processes', through to understanding the operation of global supply chains and the role of manufacturing firms in the wider economy. This is balanced with lots of exposure to real manufacturing firms, company visits and seminars, as well as practical application of ideas in companies during industrial project work.